The Reykjavik police are called on an icy January day to a garden where a body has been found: a young, dark-skinned boy is frozen to the ground in a pool of his own blood. Erlendur and his team embark on their investigation and soon unearth tensions simmering beneath the surface of Icelands outwardly liberal, multicultural society. In this new extraordinary thriller from Gold Dagger Award winner Arnaldur Indridason, the Reykjavik police are called on an icy January day to a garden where a body has been found: a young, dark-skinned boy is frozen to the ground in a pool of his own blood. Erlendur and his team embark on their investigation and soon unearth tensions simmering beneath the surface of Icelands outwardly liberal, multicultural society. Meanwhile, the boys murder forces Erlendur to confront the tragedy in his own past. Soon, facts are emerging from the snow-filled darkness that are more chilling even than the Arctic night. They were able to guess his age, but had more trouble determining which part of the world he came from. They thought he was about ten years old. He was wearing a grey anorak, unzipped, with a hood, and military-style camouflage trousers. His school bag was on his back. One of his boots had come off and there was a hole in his sock. One toe poked through. The boy was not wearing gloves or a hat. His black hair was already frozen to the ice. He lay on his stomach with one cheek turned up towards them, and they saw his broken eyes staring along the frozen earth. The puddle of blood underneath him had started to freeze. Elínborg knelt down beside the body. She held out her hand, as though she wanted to touch the body. The boy looked as if he had lain down to take a rest. She had difficulty controlling herself, did not want to believe what she saw. The following author biography and list of questions about Arctic Chill are intended as resources to aid individual readers and book groups who would like to learn more about the author and this book. We hope that this guide will provide you a starting place for discussion, and suggest a variety of perspectives from which you might approach Arctic Chill. Arctic Chill is unique among Idridason's Erlendur books: the previous four all revolve mostly around crimes connected to the past. This one combines the best aspects of Indridason's earlier books with a new and compelling awareness of Iceland now. (Reviewed by Joanne Collings). This is not an easy read, but its humanity and insight make it truly memorable. Inter-racial tensions are nothing compared to the inter-office friction between Erlendur and stony sidekick, Sigurdur Oli, in this highly believable mystery, seamlessly translated by the late Bernard Scudder and Victoria Cribb. 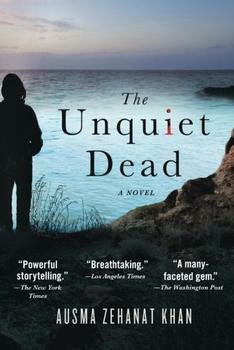 For fans of moody Nordic mysteries by writers such as Henning Mankell and Ake Edwardson, this is an essential read. Starred Review. [A] stellar fifth Reykjavik thriller...Indridason has produced a stunning indictment of contemporary society. Starred Review. A beautifully layered mystery notable for its breadth and depth. Indridason and his hero steadily improve with age. Located midway between North America and mainland Europe (map), Iceland is the same distance from New York as New York is to Los Angeles. The island is the same size as the state of Ohio, with 11% of its surface covered in glaciers. 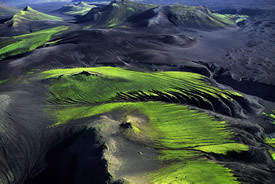 Much of the country is an other-worldly moonscape of ancient lava flows covered in moss, and tall, treeless mountains. More than half of Iceland's 300,000 residents live in the capital city, Reykjavik (pronounced RAKE-ya-vick); but with more than 100,000 waterfalls, countless hot springs, numerous fjords, and green valleys, Iceland's uninhabitable parts are popular destinations for native and tourist explorers.